Well hello to you my reader chums! 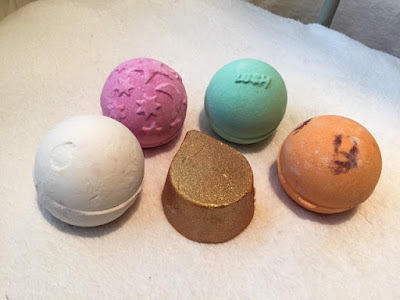 Like many other beauty bloggers, I have a major Lush obsession. There's nothing more relaxing after a stressful working week than popping one of their products in the bath to fully indulge and unwind. I hadn't visited a Lush store for a while and as I was in Bluewater the other day, I decided to restock, picking up a selection of my favourite items. Surprisingly, I didn't go super Lush crazy even though if I had the chance, I could easily have bought the entire store! 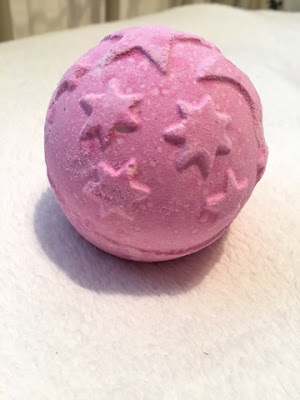 Dragons Egg: The first bath bomb I had to pick up is my ultimate favourite, Dragon's Egg. I'm utterly addicted to it's the scent; the blend of citrus and sweet is completely delicious, I wish it came in a perfume! 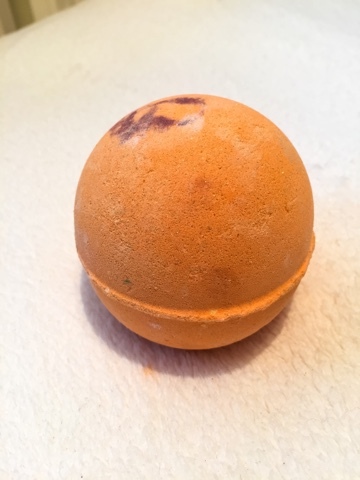 Once popped into the bath, the bomb oozes out orange goodness and bursts of various other bright colours. It's a surprise all in one and the beautiful scent lingers with you for absolutely ages; a must buy. Sunny Side bubble bar: I would describe the scent of this bubble bar as very similar to Dragon's Egg, yet slightly less citrusy and embracing the sweeter side more. For me, this is an indulgent product purely because of the colour and endless amount of glitter it contains. 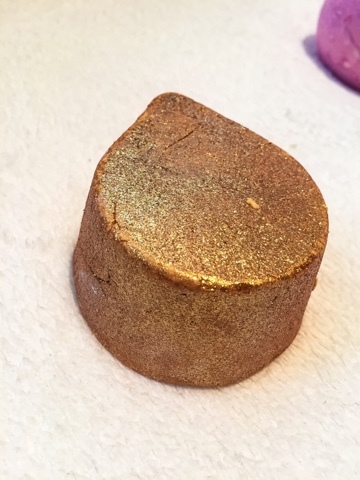 As it's a bubble bar, the idea is you break half off and run it under warm water - this in turn leaves you with a mass of foamy bubbles and thick gold water. 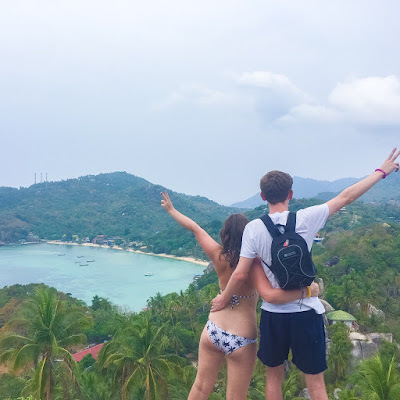 One of my favourite features is certainly the glitter, the flecks are massive and you come out the bath glowing like a disco ball, who wouldn't love that?! Twilight: Another one of my favourites, Twilight holds a sweet yet floral scent with a lingering hint of lavender taking centre stage. I love to use this on a night where I want to truly unwind as the subtly of the floral smell sends me into total calm mode. When placed in the water, this gem fizzes with a blend of pink and hidden bursts of blue which come through from the centre, turning the bath a gorgeous lilac shade. I love how creamy the texture is of this bath bomb when dissolved as it leaves the skin feeling incredibly soft. 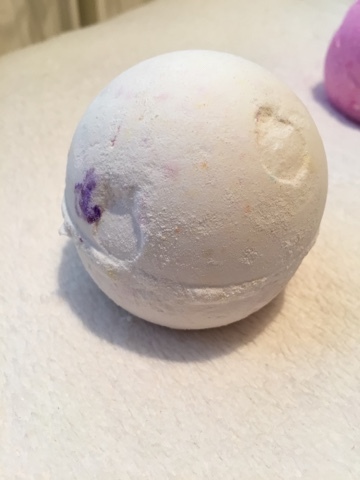 Avobath: Every time I use this bath bomb, it will always remind me of the musical Wicked! Once dissolved, the bath is left a complete green colour, looking like the famous emerald city. The scent is on the sweeter side but unlike Dragon's Egg, it's quite a fresh and refreshing smell; not too intense. Yoga bomb: Last but not least is this lovely orange number. The scent to this is slightly more musky than sweet and gentle, not overpowering at all. Named 'Yoga bomb' it's exactly what you'd expect, a bath product which holds a refreshing smell to fully unwind. The exterior is a bright orange but when positioned in the bath, the centre releases a gorgeous purple colour, leaving you with a blend of bold shades in your bath. I hope you enjoyed this in depth Lush haul. 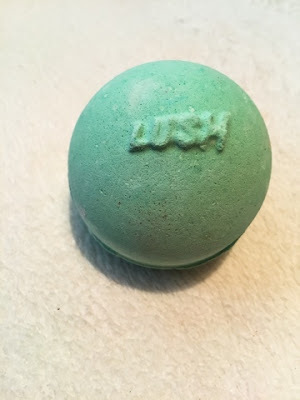 What is your favourite Lush bath bomb? With the sunny side one isn't your bath going to have gold specs all over it, maybe sell your bath on ebay and claim it's real gold;) Hahahaha! Haha oh my goodness, yes!! If you want to see a few of mine, check out my Instagram @ForgedOpulence - I haul Lush like its my job haha.